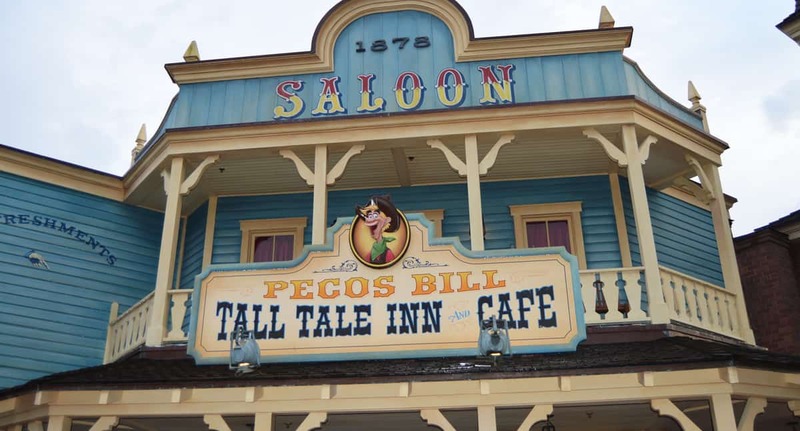 Pecos Bill’s is a great place to have lunch at Magic Kingdom and then catch the afternoon Festival of Fantasy Parade. Pecos Bill’s is right on the parade route. Stop in to this quick-service restaurant inside Frontierland and enjoy choices like tacos, chicken fajitas, burgers, nachos, Southwestern-style salads, jerk chicken lettuce wraps and more. For dessert, try the mini churros with chocolate dipping sauce. Even the most pricey item on the menu will only cost you $15. Add a drink and you’re still eating for under $20. Many entrees will have you eating for under $13 to $15 per person, and kids’ menu items cost even less.